In honor of 31 cent scoop night Baskin Robbins will be making a donation of $100,000 to the NVFC National Junior Firefighter Program. 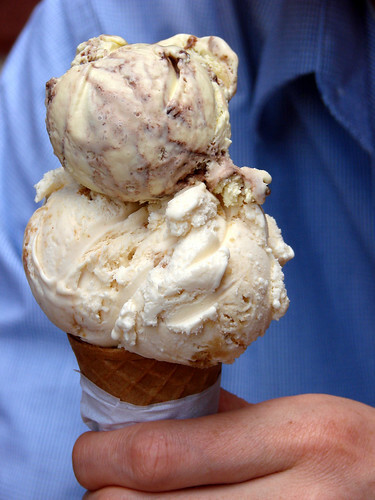 The folks at Baskin Robbins are tweeting up a storm about Free Scoop night. Apparently you can get up to three (3) 2.5 oz scoops for each time you wait in line tomorrow. Don't like scoops? This is the first year that you can get soft serve instead--BR is considering a 3oz serving of soft serve a scoop. And if you are looking for a lighter treat, Baskin Robbins BRight Choices will also be available. I've actually never been to a Baskin Robbins, but 31 cent scoops is enough for me to give it a shot. For everyone else, click here for locations. While Baskin Robbins may not have the BEST ice cream, I must say it is something I grew up on and still enjoy to this day. And for 31 cents, how can you go wrong? this was awesome! i went and had some tonight!